If you’ve just started running or want to increase your mileage, there are a few key concepts you should follow. Before I take you through this, it’s important that you understand the term ‘Load Management’. Load management: It is important to monitor the load put upon soft tissues such as muscles, tendons and ligaments. Running is a high impact sport and it takes relative muscle strength to run pain free. But don’t worry, muscles will adapt to load as long as it is gradually introduced. Excessive load can result in a reactive tissue response that commonly includes pain. Approx 80% of running injuries are thought to be due to overuse i.e. excessive loading. Sometimes it is easy to get into a routine and to not look at what distances you’re actually doing. Add up your weekly miles, calculate 10% of this and don’t go over this the next week. Over loading is a very common way to pick up a tendonopathy. Common tendon problems seen in running are achilles, hamstring, gluteal and patella tendonopathies. Tendonopathies are generally painful at the start of running, then can ease off and then become worse the next morning. If you have pain in these areas it is best to get this assessed by a Physiotherapist or visit your GP who will refer you to the appropriate service. Vary the distance of your runs. For example, one long distance at a steady pace, one medium distance at sub-max pace and one short distance at speedwork/tempo pace. Evidence suggests a 80:20 split between low and high intensity – Seiler (2010). It is important to not overload by training every day or to bunch up the sessions. Rather than doing them all over the weekend, spread sessions throughout the week. Rest days are just as important to give the body time to recover and rebuild. …or into your daily routine, which ever works best for you! 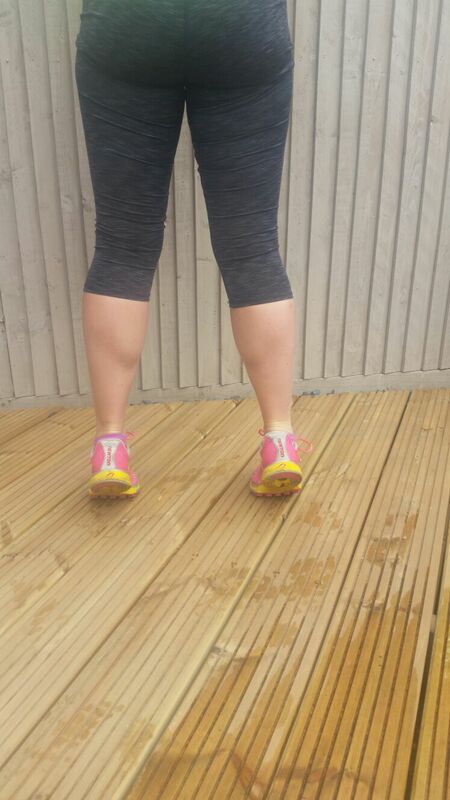 Key muscle groups to work on are the calves, quadriceps, glutes and hamstrings. I will go into detail on individual muscle groups and specific exercises another day. But for now heel raises, squats and side lying leg lifts is a good place to start. 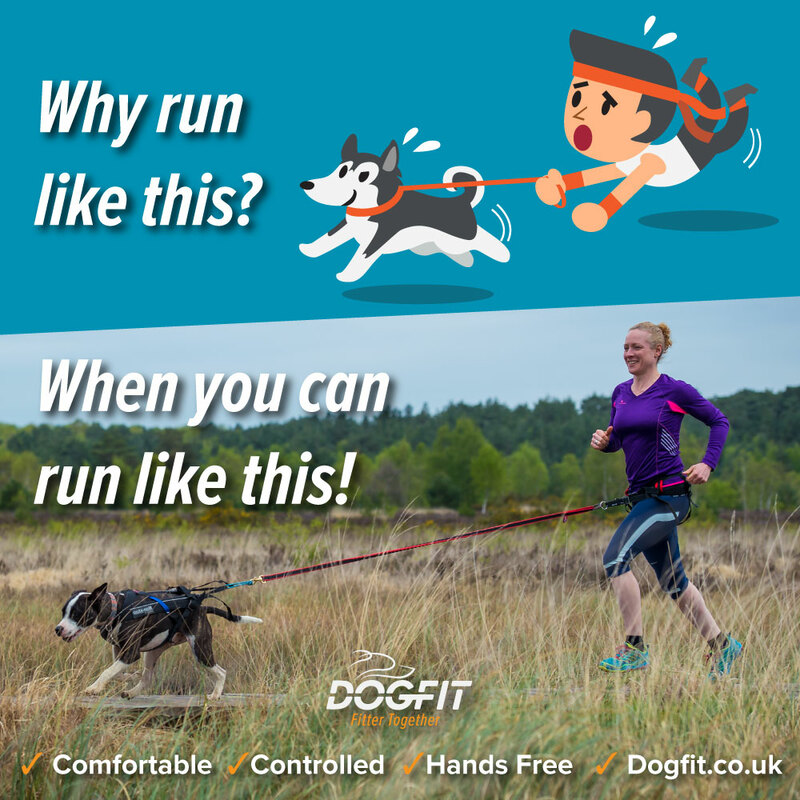 I think I am probably the worst for sticking to this one as I get carried away with the fun of canicross, as well having a husky to pull me along! But remember, we all run at a different pace and increasing speed too soon can lead to overloading those tissues. If you need to take it slower (or maybe faster) don’t worry! Better that than getting pain and not being able to run the next week. This is a big topic and I won’t go into detail now but it’s important to get it right for you. There’s no need for blisters or bad backs!! 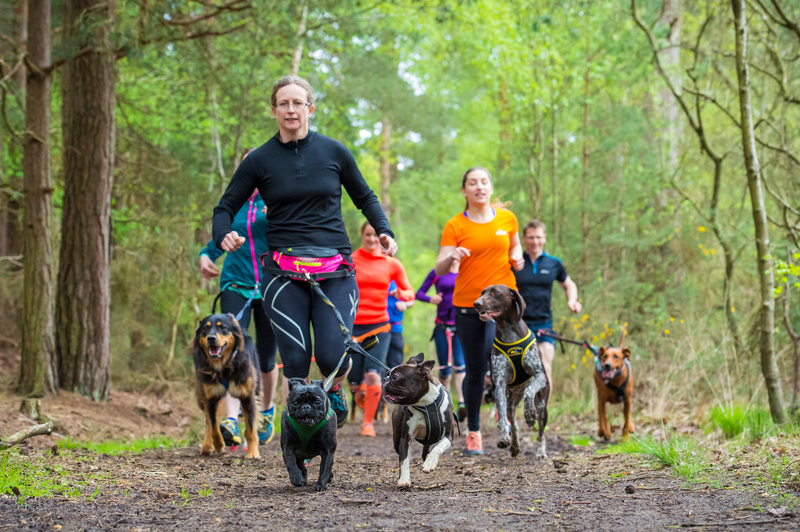 Obviously in canicross there’s more to think about than just the trainers you wear. 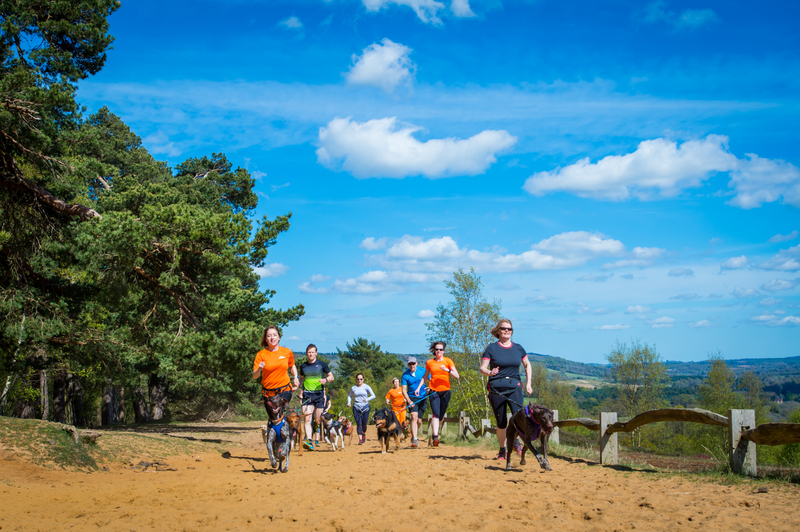 If you haven’t got all the correct gear already have a chat with Gail and Ginetta at DogFit. It’s important to remember that every individual’s situation is different. If you have any concerns about your health and running please consult a physiotherapist or health professional for advice and treatment specific to your needs.